Doner Kebab is a small Middle Eastern donair restaurant located on West 4th in Kitsilano. There are a lot of donair places out there that are alright, but I rarely find one that really impresses me. When I first visited Doner Kebab it stood out to me because of how fresh and flavourful the food is. It quickly became one of my favourite spots for a quick lunch when I was working in the area. 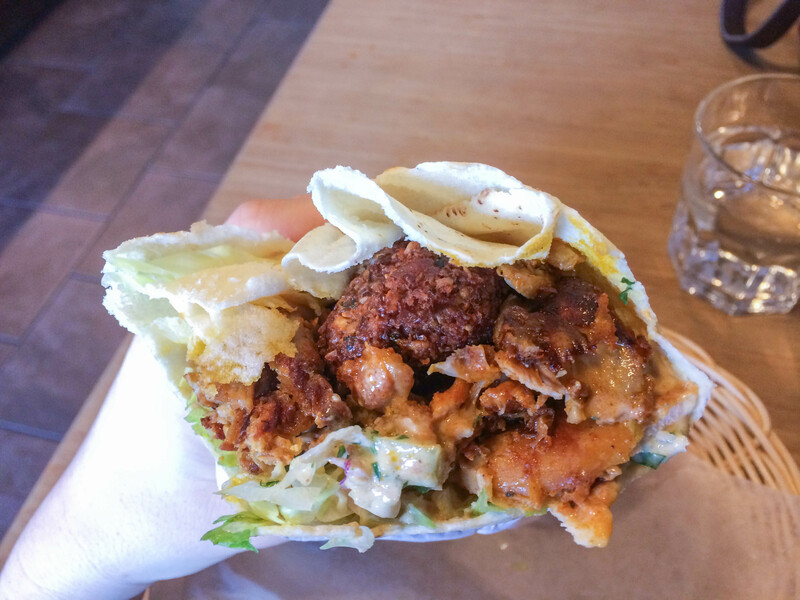 The chicken and falafel wrap is my go-to menu item at Doner Kebab. The chicken is very moist and it has a warm aromatic spice flavour with hints of cinnamon and cardamom. The falafels here are amazing and the best that I have eaten to date. Unlike many places that keep pre-made falafels in a warmer, they fry them up fresh for you when you order them. It makes a huge difference and they come out all warm and crunchy. 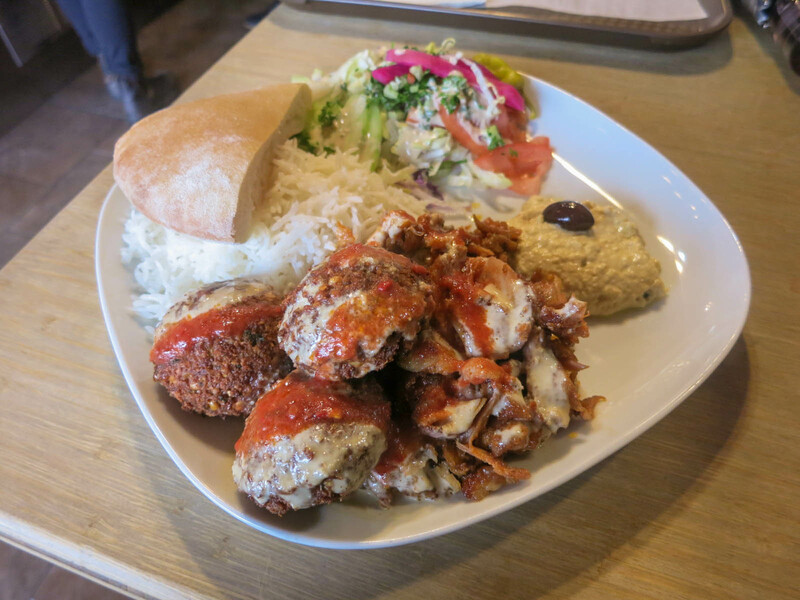 The chicken and falafel platter is essentially just a deconstructed wrap with a side of rice. The portion is much larger though, so if you have a big appetite this is a better option. Once again, both the falafels and the chicken were amazing. Everything always tastes really fresh here and they put the perfect amount of sauce on it so it is flavourful, but not too sloppy. The only thing I wasn’t crazy about was the hummus. I found it to be bland and lacking something. I would have preferred it to have more garlic and lemon. Doner Kebab is one of the best donair places that I have been to and I would highly recommend checking it out. The food is fresh and their chicken and falafels are amazing. It is definitely a hidden gem in the Kits area for an affordable meal. Yes, for the best falafel donairs around.